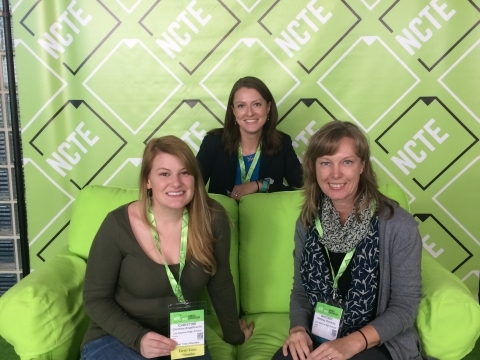 Every fall and spring, we accept applications from teachers for 3 types of grants: Professional Development, Professional Book Groups, and Great Ideas. It’s the latter that really showcases the innovative ideas that teachers have for their students, and it is our job to try to make those ideas a reality. Last fall, we were able to fund 8 great ideas grants at 5 schools. 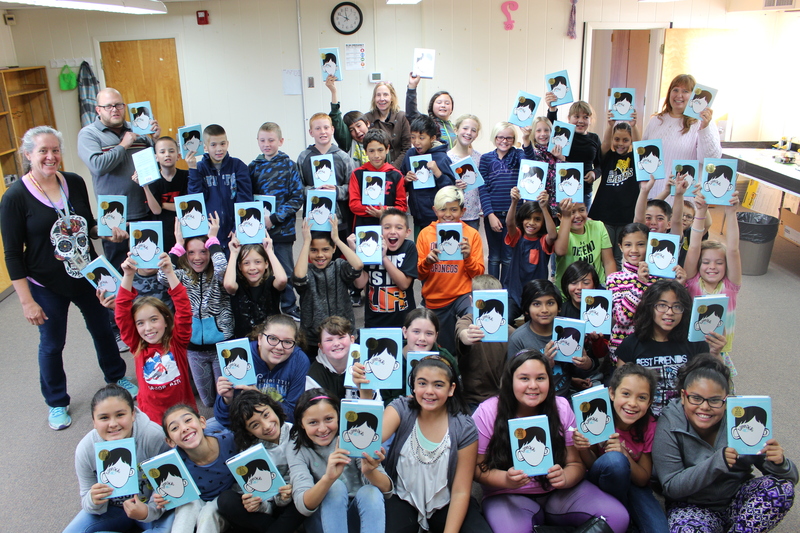 One of last fall’s Great Ideas Grants gave copies of the book Wonder to every 5th grade student at Chamisa Elementary School. 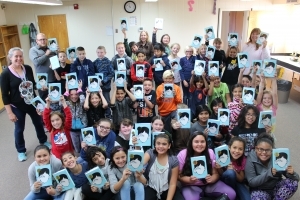 The book is about a boy named Auggie who was born with a facial deformity and how his peers initially perceive him. 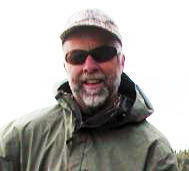 Ultimately he makes new friends and accepts himself for who he is. In the process, Auggie teaches all of us how to be better people. It’s a truly inspiring story that fits perfectly with Chamisa’s theme this year of “Mindfulness”, and the students were excited to read it. They also had the chance to watch the movie based on the book at the Reel Deal Theater. 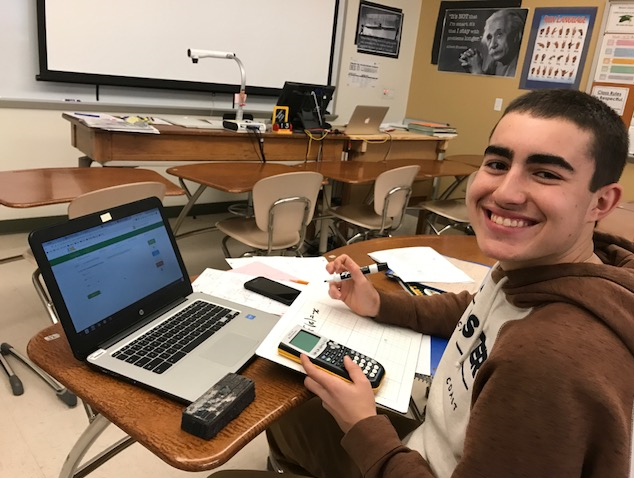 At LAHS, math students benefited from an interactive program called IXL that helps to bridge the gap in students’ learning. The teachers are able to see in real time which students are making progress and which students are struggling. Because of this, they can immediately help students who are stuck, they can assign material that will help students “fill the gaps” in their understanding, and they can access many different reports that show how the students are performing individually as well as collectively. 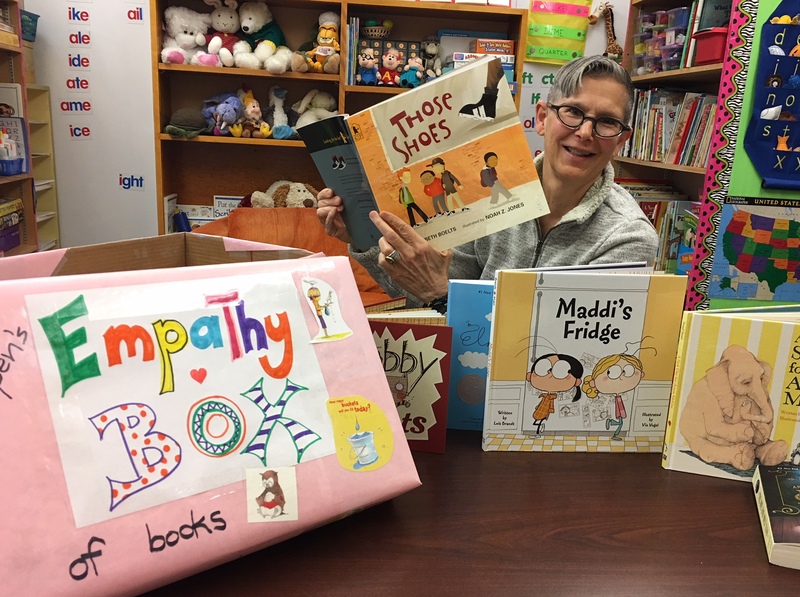 Shelley Morey-Sloan, a teacher at Aspen elementary school, applied for and was awarded a Great Ideas Grant last fall to build an “Empathy Tool Box for Teachers”. Shelly meets some students who are brilliant but suffer from emotional problems that limit their happiness. 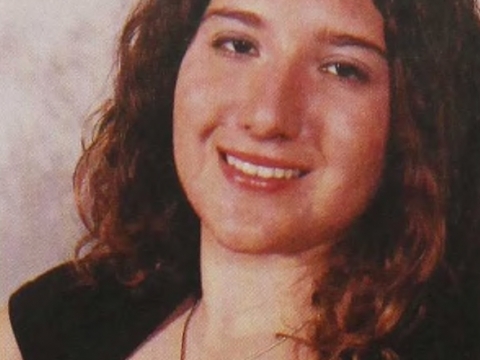 Knowing that empathy can be learned, Shelly requested funds to create the toolbox. 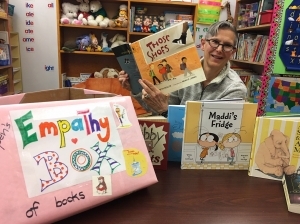 Shelly filled it with two professional books on the importance of teaching empathy, as well as 18 children’s books that have a focus on empathetic themes. Now Aspen teachers can check out books from the box to be read during classroom “read aloud” times. Other Great Ideas Grants in fall 2017 included copies of the book Spies of the American Revolution for an interdisciplinary lesson at LAMS, a voter response system at Aspen Elementary, a classroom library for a Barranca Elementary 1st grade classroom, an artist in residence at Chamisa Elementary, and a computer program used to conduct quizzes and tests at LAHS. Next Next post: LAHS Yearbooks Site to Launch Soon!